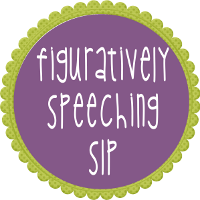 This month's Frenzied SLP theme is all about things we love. 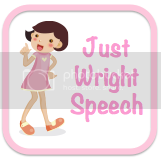 While I love everything Speech and Language Pathology. My one true love or should I say my passion is crafting. I guess you could call me a home body. I would rather be home or in my backyard creating something than doing anything else. Depending on my mood, the season and whatever tickles my fancy, I dabble in different crafting forms. I actually used to have a craft blog where I posted all my recent projects. 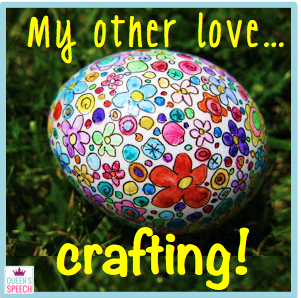 I paint, quilt, embroider, hot glue, glitter, bead...you name it I have probably tried it. So much so that I think I am going to need a craft room soon. 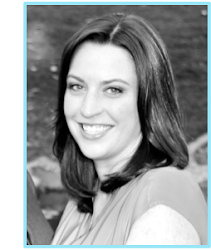 Shhh, don't tell my husband I said that. Below are some new and some old projects. I hope this inspires you to try creating something new! 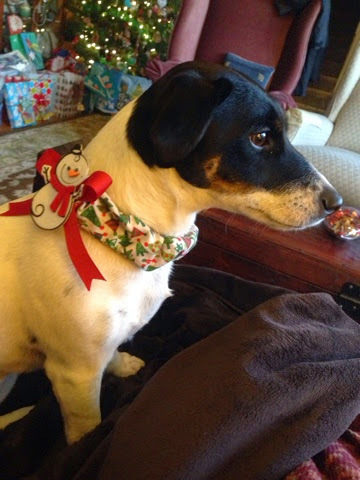 I made a dog collar cover for my puppy Bindi. Rifle Paper Co. inspired Kenny Loggins quote water colored for my mother this Christmas. A baby blanket I started crocheting (finally finished) for a friend's baby. 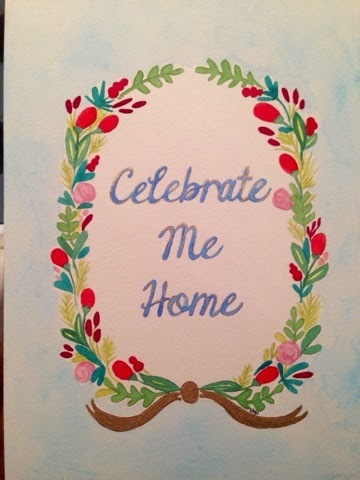 Crafting keeps me centered and lowers my anxiety. It gives me something to think about other than my job! I also cannot watch TV without doing something with my hands. Lately this is why crocheting is my favorite. I am good enough at it now that I can watch TV and crochet without looking at my hands. 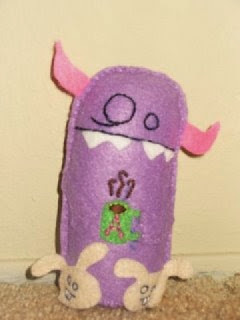 The infamous morning monster I made for my best friend. He has traveled all over the world! I LOVE mermaids. This is a pattern I created from vintage mermaid postcards. My mermaid piece is one of my very favorites! I tried many different types of stitches and threads. 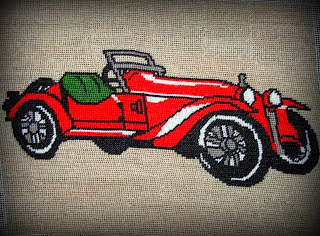 It was one of the most complex things I have embroidered. I have it framed and hanging in my bedroom. 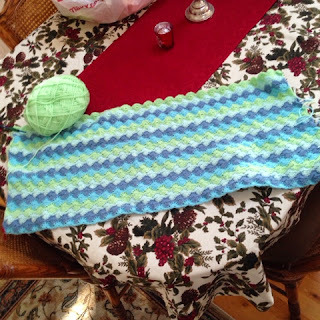 I love making baby stuff! Especially using embroidery and felt! Felt is another one of my favorite mediums. 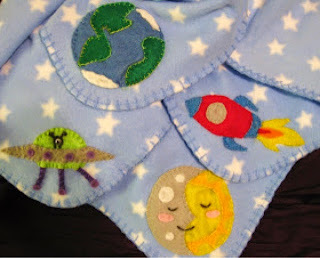 You can make bean bags, appliques, ornaments, puppets and so much more! 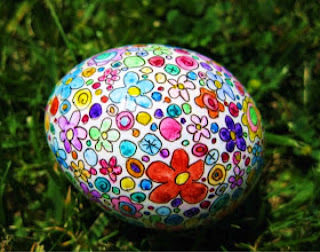 Blown eggs, watercolor and sharpie. 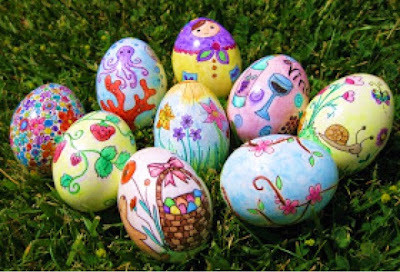 I still put these eggs out every Easter! Can you tell I like making things for my friend's babies!? 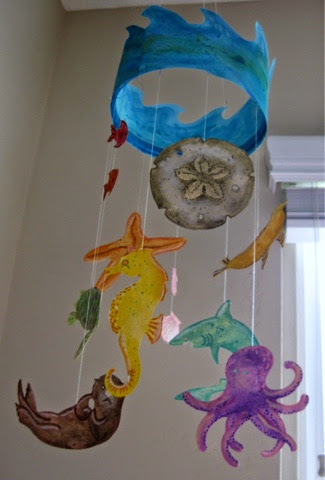 A mobile I painted for my speech room when it was ocean themed. I still own these shoes! 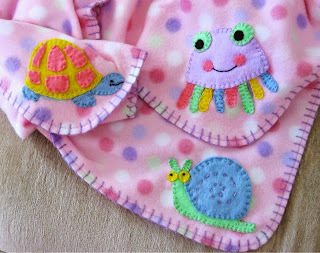 They were so much fun to embroider! Creating things for other people and to decorate my own home makes me feel good and like I accomplished something, especially if it's a new craft I haven't tried before. 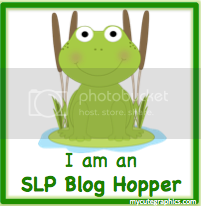 Being a crafter is how I ended up becoming an SLP blogger and TpT seller. Making things is what I enjoy doing. Do you have a hobby? If so what is it? 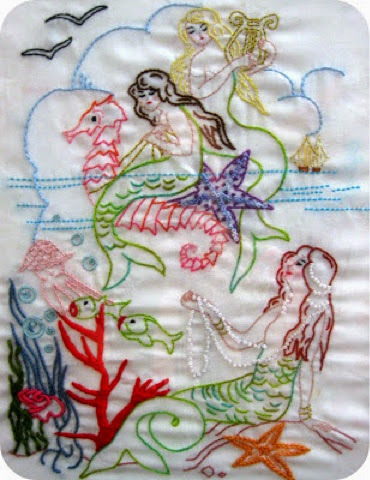 I actually pinned that mermaid embroidery a long time ago and was shocked to see how many people have pinned it since! :) It's my favorite piece I think I have ever made! You are so talented!!! The mermaid embroidery is absolutely amazing. 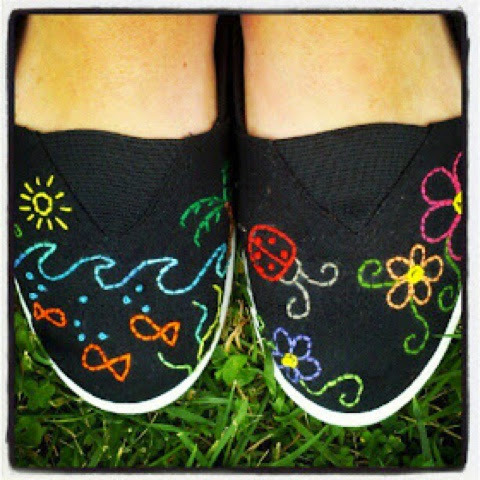 I want those shoes, but with flamingos on them! oh that would be soo much fun to make Judy! The stitched mermaids are my favorite! You are amazingly talented! What gifts!